Roasting capsicum for soups and stews is by no means a tough task, but peeling them can be a bit annoying. Though removing the skins under running water can help them slip off easily, you end up washing a bunch of flavour down the drain. Luckily, Serious Eats has a solution: peel them in a bowl of stock. 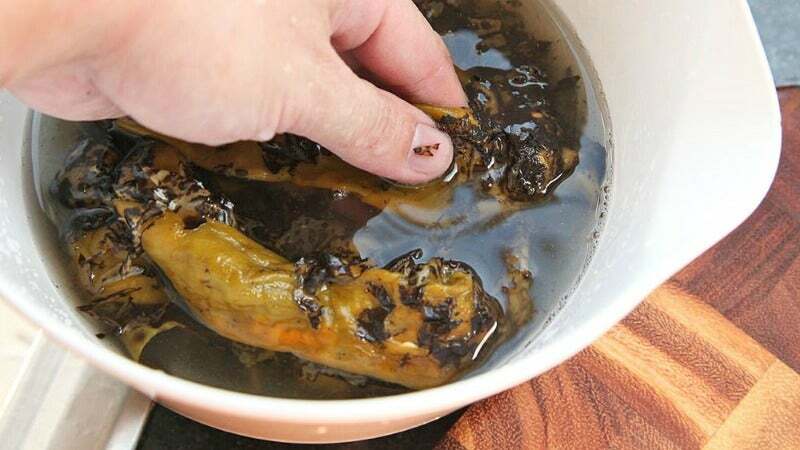 It's almost as easy as doing it under running water, but you'll notice that, particularly if you're using a bowl of water, the liquid will begin to take on colour from the [capsicum] and their charred skin — all the flavour that would normally go down the drain remains in the bowl.